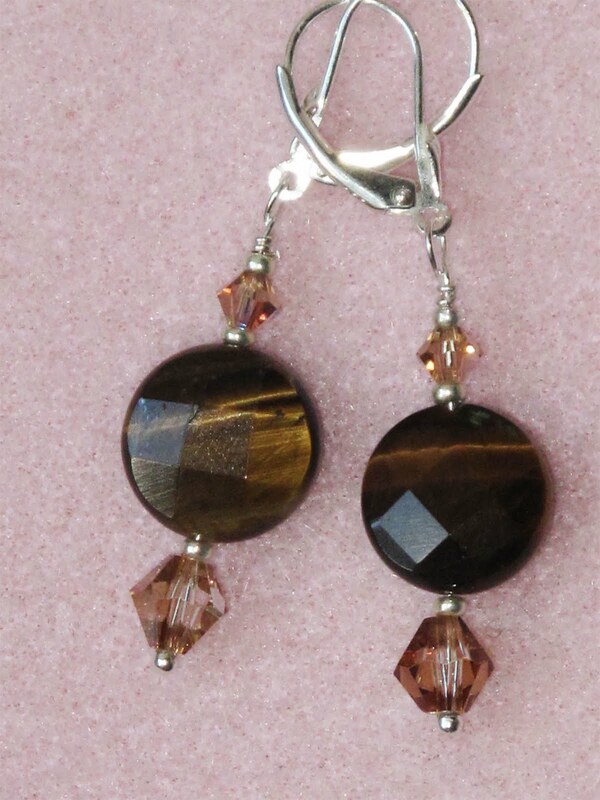 Tiger's eye is a grounding, calming stone that supports healing, intuitive abilities and helps us to cultivate courage. All findings are sterling silver and the extra beads are swarovski crystals. They are the perfect complement to an outfit of chocolate brown and white or cream. All earrings cost $20. Enjoy the day!